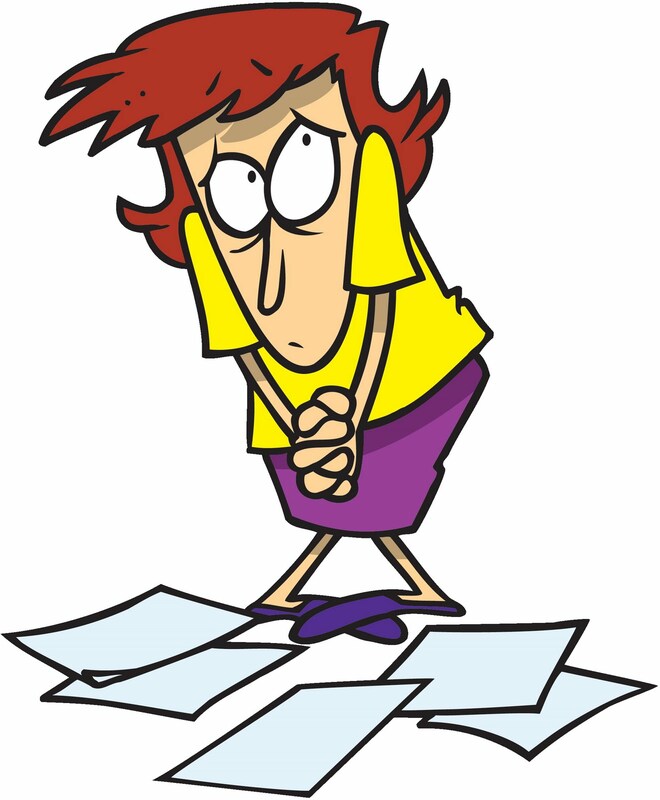 In sending out the YL Sprint contest address, your editor used the SARL Contest Manual (14th). Unfortunately there have been problems with the published email address and although every effort was made by the Contest Manager to alert everyone, I'm afraid I missed them. It was only when one of our contesting ladies advised that she had been omitted that this was brought to our attention. Evi F5RPBupdated us on HB88YL event: From 19.08 to 21.08 some Yls from France,Germany and Switzerland had a little meeting in Hedingen near Zurich (locator:JN47FH). Some of them coming with their OM's. During this time they could be active in their hobby and to be together. The OMs had to install on Thursday the antennas and 3 different stations. New Yorker Limor Fried was one of them. Graduate student, Fried posted plans of an open-source MP3 player and other electronic projects on her MIT (Massachusetts Institute of Technology) webpage. The plans became so popular, she started making kits and selling them. 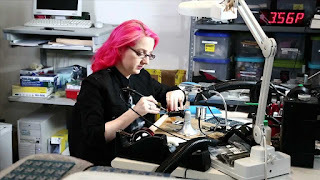 In 2005 MIT hacker & engineer, Limor Fried known to her fans as Ladyada (a nod to Ada Lovelace, who’s been called the world’s first computer programmer *), founded Adafruit. The company was an organic outgrowth of her own DIY projects online, which, she discovered, found an eager audience. “People loved the tutorials, and there was nothing else like it at the time,” says Fried. Need to spec a battery? Don’t know how to solder? Want to sew electronics into your pants? Adafruit’s got an online tutorial. Learning electronics and computer science can be intimidating—there's so much to know and do. 'Ask an Engineer' a weekly show started in 2010 in Fried's living room. The concept was that viewers could ask her any questions about engineering while she was assembling electronics kits and Phillip Torrone, her spouse, was preparing shipments. Using YouTube, company mascot Adabot and Fried herself, teach computer-generated robot engineering basics, “More people in the world can sew and do crafts than electronics,” she told Embedded Computing Design magazine in 2014. Today Adafruit offers two wearable platforms FLORA and GEMMA, and features interesting applications for both in a blog series, #Wearable Wednesday. 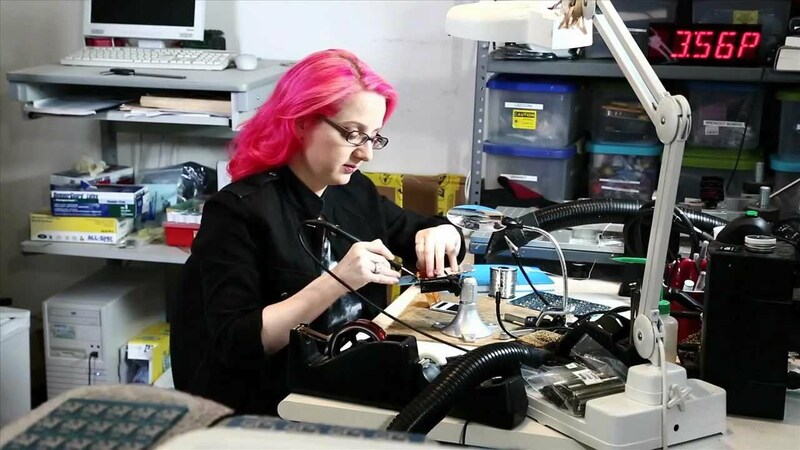 The first female engineer to ever grace the cover of Wired magazine; a maverick with an unconventional management style and a bright pink hair coif, Fried has made it her mission to educate others — especially young people and women — about the endless possibilities of DIY electronics. The above article is in celebration of 2016 Ada Lovelace Day, 13 October. *Ada Lovelace (10 Dec. 1815 -27 Nov. 1852) English mathematician and writer. By the time you receive this newsletter those YL's who attended the BYLARA Intrnational YL meeting will be on their way home. Please ladies share the experience with the rest of us; drop us a line, some pics, post on Facebook. Below is a letter sent to our NZ sisters from a German YL which ties in with Jota. Again if any our our ladies are involved in this event please share. Thanks to Topsy Scott, ZL2LS who has sponsored and welcomed me (ZS6YE) as a member of WARO, NZ. Topsy wondered about sending a badge and fortunately Adele ZS5APT and OM Sid ZS5AYC will be visiting New Zealand's South Island during October. 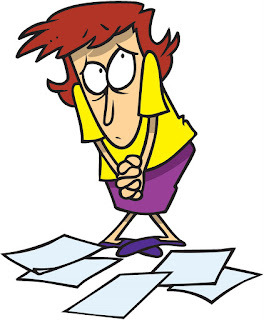 After several emails we are hoping that there will be a 'meet-up'. Topsy and I are hoping for news for both our bulletins! Adele and Sid are hoping to activate SOTA (Summits on the Air) while in NZ land. Nuria Font Soler S9WL (YL station operated by Núria, EA3WL) was on the air from the 26Th September to the 2nd October 2016). 6265 QSO were made at lhéu Das Rolas (São Tomé E Príncipe). 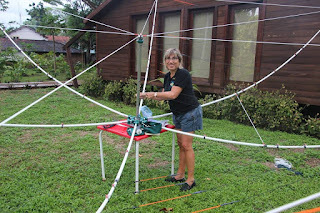 Go to her Facebook page to see more pictures of this Dxpedition.. São Tomé and Príncipe are Portuguese-speaking islands in the Gulf of Guinea, off the western equatorial coast of Central Africa. The jubilees 90 years IARU and 65 years DARC with its whole year activities was a big challenge. In addition our district Mecklenburg-Vorpommern celebrated its 25th anniversary in July which is the annual activity month for the Sea of Peace Award. At last in December was my personal anniversary; in 1975 I obtained my first licence DM2AEA. On the occasion of this anniversary my family surprised me on my birthday with a personal stamp which daughter Sabine DL3KWS had designed. She is the designer of QSLs in the QSLSHOP. This anniversary I have celebrated by activation of YL club call signs in Contests. At first I worked as DLØYLV in July and once more in October for the first time in the Worked All Germany Contest (WAG). Than in September during our Denmark vacation I activated as SYLRA member OZ6SYL. In this time fell the CW part of the Scandinavian Activity Contest (SAC). Of course my OM Hardy DL3KWF and me have taken part - the first time as „Scandinavian“. To my surprise I got a nice Trophy as the best Scandinavian YL. Finally I have represented DAØYL in the CW part of WWDX Contest. The conclusion of my anniversary year was the TOPS Activity Contest (TAC) at the beginning of December. In 1976 I was present for the first time in the TAC. This Contest was organised since 1947 by the English TOPS CW CLUB as a 80-metre CW contest. During the next years I left OM-Hardy as a long-standing TOPS member often this contest. In 2007 the Romanian Professional Radio of CW Operators Club (PRO-CW-CLUB International) took over the TAC and filled it with new life. Since 2010 the TAC is a five-Band Contest and I participate regularly in it. From the DL participants I always obtained one of the first three places. Thanks of the new admission rules and my good references. in November 2015 I gained full membership of this club. Up to now Mila OK1KI has been the only YL member. So I started as DAØYL and am now a "newly-qualified pro“. According to the call sign I was classified in the Club stations category and reached third place which was awarded with a medal. In the professional category my result would have been an eighth place. The TOPS Contest is one of the oldest Contests generally with an interesting history. But its Account and evaluation are uncomplicated and contemporary. Mistakes in the log and QSOs with no-settle-up are deducted. Within two weeks after the end of contest, results are on the internet. This CW contest has now arrived in the amateur radio modern era. It is nice that one can be present. World Scout Jamboree in Japan. And one more highlight had the year 2015 for my OM Hardy DL3KWF and me: our grandson Tim is a boy scout and had the enormous luck to take part in the World Scout Jamboree in Japan. Ten years ago we had both visited radio friends in Okinawa, Kyoto, Tokyo and taken part in Osaka in the very first Asian Pacific DX Convention. These pictures and impressions are to us still alive in our in memory. Now we could see on the Internet the opening and final ceremony. These 33,000 young people from all over the world (1,000 only from Germany) to see them peacefully gathered together and to feel their enthusiasm, was very magnificent. We saw our Tim and also Vala TF3VD with her daughter Odny. And we know about Truus VE3MRS that her grandson James was also an attendee. I would have liked to have known too with pleasure how many children, grandchildren and great-grandchildren of radio amateurs were there at the Jamboree. The ARRL has a new Girl Scouts "Radio and Wireless Technology" patch program that offers opportunities for participants to learn about wireless technology, including Amateur Radio. The program incorporates information and exploratory activities that provide a backdrop for understanding radio communication and will kindle an interest in science, technology, engineering, and math (STEM) subjects and careers. Carol Milazzo, KP4MD of the Young Ladies' Radio League (YLRL), believes that more YL role models and Elmers are needed to reach out and welcome both new and inactive YLs and encourage them to get on the air, to upgrade and join the mainstream amateur community. The Girl Scout Patch is a start. The program includes a curriculum for Girl Scouts at all levels, introducing them to radio waves, the electromagnetic spectrum, GPS, and ham radio itself. The program defines the requirements for Girl Scouts to earn the patch at the Brownie, Junior, Cadette, Senior, and Ambassador levels. Local clubs are encouraged to work with Girl Scouts and help them along. You can find the information on the ARRL web site, or email djohnson@arrl.org. THE ZOMBIE SHUFFLE (Zombies don't sprint). 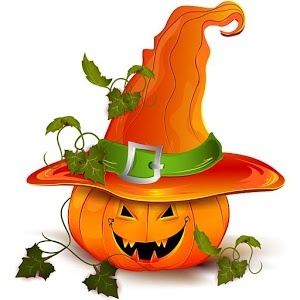 An annual event held on the Friday nearest Halloween - October 28, 2016, local sundown until Midnight. There is no point to the Zombie Shuffle except to get on the air and have fun with fellow Zombies and QRPers,regardless of your code speed. Its not a 35wpm event.